Denim is a very popular, long lasting material within the fashion industry. In fact, denim represents 7% of total used clothing. 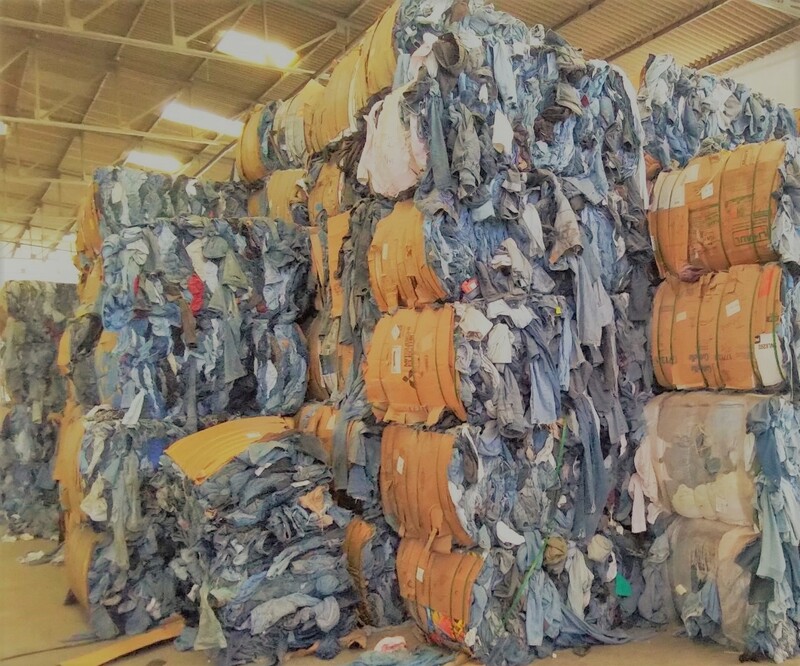 When the bales of mixed rags leave the thrift store warehouse, only 60% of denim within these bales will find new lives in second hand markets. That includes the 2% of denim considered vintage garments, and the 1% that is repaired before putting back onto the stores floor again. As a large portion of used denim jeans – actually the remaining 40% – are between size 36 and 44, the ability to reuse in traditional aftermarkets is limited. 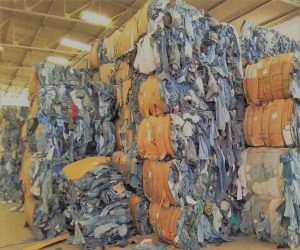 In order to prevent this large amount of denim from ending up in the landfill, we need to be using innovative solutions, urgently! Upcycling can be the solution, and it represents 30% of the discarded extra-large items. Non-profit social services organizations are always searching for more ways to raise funds for their mission. Thrift stores such as those operated by Salvation Army can provide a substantial share of dollars to help with disaster relief, homeless shelters, rehabilitation services, soup kitchens, food pantries and serving the poor within the community. Funds are generated through store sales as well as the salvage or credentials sales, which are those items that did not sell in the stores or the overflow of new, unprocessed donations. Packaging in Capsacks increases the value of several categories like shoes or toys and reduce the packaging cost. Forklift clamps pick up multiple bales from the sides and reduce the amount of time to store and load. A vertical baling machine that makes 1000/lb. bales is the best option for high-value bales. They create a clean, tight bale with protection on two sides. We are happy to announce the election of Helene Carter, President at bank & Vogue, to the Board of Directors of the Secondary Materials and Recycled Textiles Association (SMART). The election took place on Monday, March 4, 2019 during the SMART Annual Meeting. Helene will serve a two-year term on the Board. Congratulations Helene Carter! For more information about Helene Carter, please read here.